06-30, Message from the Information Center of Alexei Mozgovoy Staff. As a result of a daring commando operation carried out in the rear of the enemy the fighters of the legendary "Prizrak" destroyed the Nazis transport convoy. With this news the National Guard soldiers were also delivered to the headquarters, who still can not understand what has really happened to them. Beginning with Starobeshevo, it’s an eerie scene. Broken houses, hanging wires, gas pipes lying around. A lot of the DPR. When stopped at Novokaterinovka, horror of horrors, at the beginning of the village broken and burned tanks, armored personnel carriers, vehicles, lots of corpses, like a movie hit. There is no light and connection, and probably will not be soon, there are many torn wires. 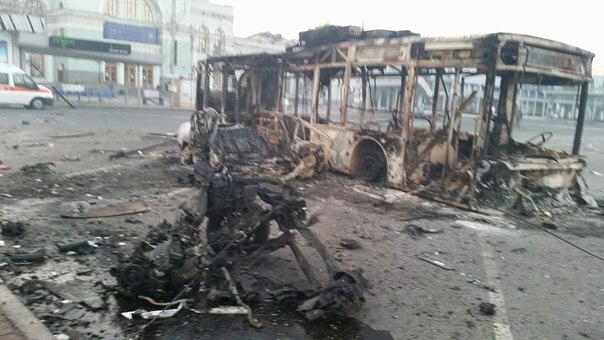 Locals saw that the Ukrainian army was to give up, and they were bombed shot blue-on-blue. The second group to give up went through normally. The boys are young, tortured. The wounded were carried on rags, stretchers. In short, terrible horror. "During the operation of a reconnaissance group, under the command of Dobrik, an underground bakery house was detected. Owner of the bakery fed the enemy and subversive groups with this bread who continue to bombard Donetsk. The owner managed to escape. According to our information, he is now in Dnepropetrovsk. He is Makeevka resident himself. In due time, he helped sponsor the Maidan, and now - those who kill his countrymen. Soldiers of Oplot handed that flour - 100 bags, about 5 tons,- in one of the bakeries of Makeevka. Bread will be given to people living in the hottest spots in the region for free - such as for example Petrovsky district, Ilovajsk, Shakhtyorsk and others - where people have nothing to eat. " 01-12, militiaman Alexander Zhuchkovsky and the fallen Tochka-U of punishers. 00-47, All Russian paratroopers previously detained in Ukraine returned to their homeland, RIA Novosti reported with reference to the deputy commander of the Airborne Forces, Major-General Alexei Ragozin. According to him, the negotiations were very difficult, but "common sense prevailed, and all ended well." From the first minutes of detention of paratroopers in Ukraine, the Russian side had been doing its best as quickly as possible to return them to their homeland, said deputy commander of the Airborne Troops. 00-39, military solution of the conflict in the east of Ukraine does not exist. This opinion was expressed during a visit to Brussels by the President of Ukraine Petro Poroshenko. "We have a full understanding that there is no military solution of the conflict. At the moment the most important issue for us is peace to be achieved only through dialogue, "- he told to the reporters. Poroshenko called troops of Novorossia not to inflame a major war in Europe. 00-03, Volnovakha district center, located between Donetsk and Mariupol, is completely controlled by the troops of Novorossia. Information is spread with reference to the army headquarters in Donetsk republic. 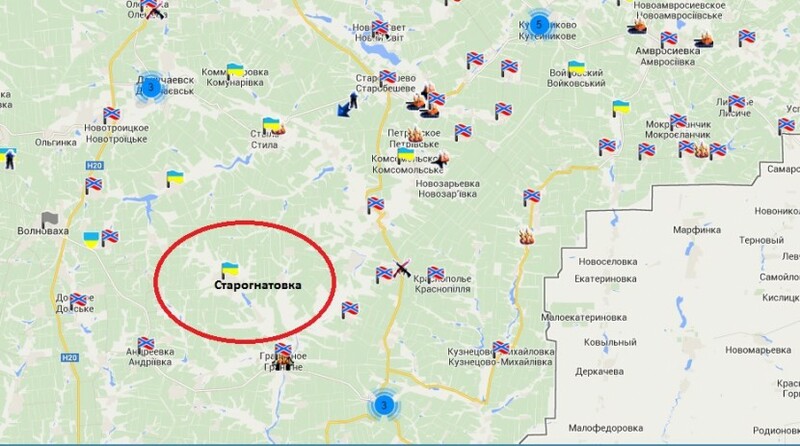 Occupation of Volnovakha means the formation of another pocket for the Ukrainian military in the southern direction. For some formations this is already dual encirclement. 23-09, Message from the Committee of Social Communications DPR. Channel Seversky Donets-Donbass was attacked from Gorlovka to Donetsk. Pipelines suffered damage and function only one-third of the pre-war period. The main target was the Verhnekalmiusskaya filter station - the only source of water supply currently in Donetsk. This is another sneaky move of the junta to organize a humanitarian catastrophe. 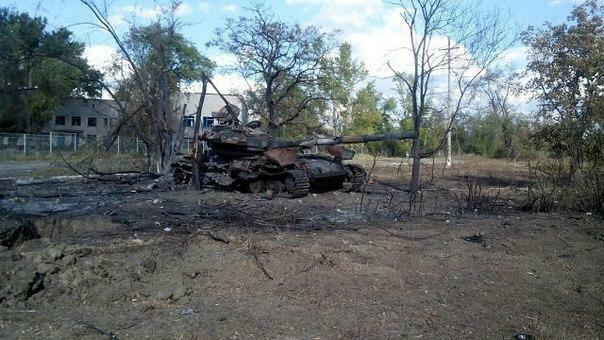 21-48, in the village Mnogopolye under Ilovaisk the staff of the television channel Espresso. TV lost - journalist Yegor Vorobyov, cameraman Maxim Chkan and manager of "Dorozhny Patrul" project Rostislav Shaposhnikov. 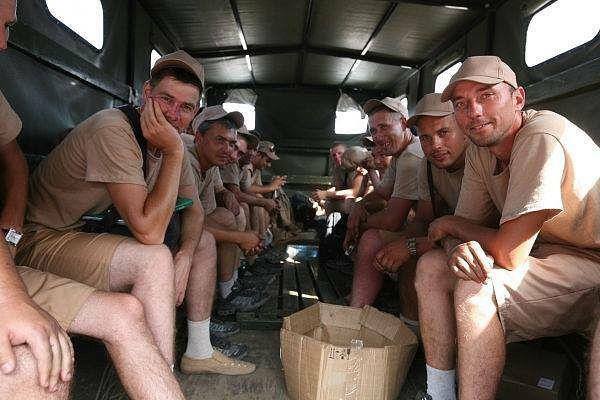 20-58, about 100 soldiers of the 40th battalion of the territorial defense from Krivoy Rog left their positions voluntarily and headed to the place of permanent deployment, according to civil journalists. 20-40, there is a video of consequences of security forces firing at Ilovaysk. 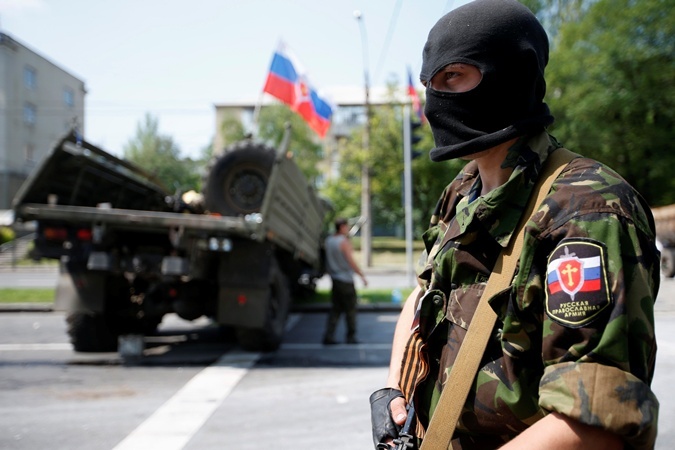 Prime Minister of People's Republic of Donetsk Alexander Zakharchenko on the air of the "Russian news service" broadcast reported that at the moment the militia is planning the second large-scale attack. "We continue to advance, finish cleaning up the pocket, helping to break the corridor between Donetsk and Lugansk through. We prepare the second large-scale attack," - said Zakharchenko. Prime Minister of DPR also noted that forces DPR suffer no shortage of weapons and ammunition. "No acute need in anything. Ukrainian army has provided us with enough equipment and ammunition. Lots of trophies. Only for the last day, we have taken about 40 pieces of equipment." 19-38, In Ilovaisk militia deliver humanitarian aid. We made an ultimatum to the punishers. Giving out of all weapons in good condition, then we will let them go. If personal weapons and armor are not be given out, the punishers will be destroyed. Only for today, we "purchased" 50 armored vehicles, thank AFU so much for this. At the moment we have let off the wounded from pockets and let them take the killed with them. Periodically attempts to escape from the pocket out of humanitarian corridors occur. After that, the wounded are allowed to take the killed with them. Currently almost all the battalion commanders have already made an agreement with us. Mariupol is in a semicircle. We will not take the city by storm, but we'll go into it SOON. 18-11, there is a video of the blown by Ukrainian troops bridge in Granitenoye, they tried to stop the DPR army offensive by undermining. 18-04, Novosvetlovka. 50% of the buildings are damaged in the city. Near the School is destroyed CV Bulat, the third since the beginning of the war. 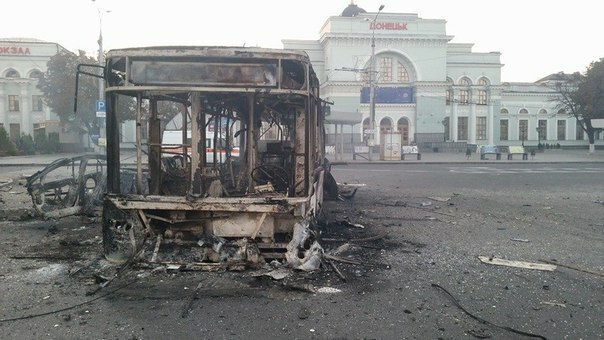 17-06, Message of Donetsk City Council. On the situation in the city at 13.00. Shelling in Petrovsky district again, known of 2 victims. The first half of the day in the city was tense. 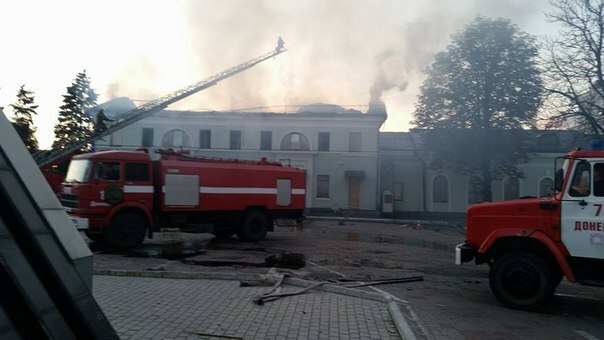 Residents reported that in the Kievsky and Leninsky districts shots and explosions were periodically heard. Petrovsky and Kievsky districts subjected to shelling again. The level of destruction is being stated. It is already known about the two dead civilians in Petrovsky district. 17-02, militia reported that the Ministry of Interior function in Mariupol performs "Right sector" and the National Guard. According to them, because of “sympathy” for the militia a large number of citizens was killed, civil journalists report. 15-36, active hostilities took place last night. In the DPR on Mariupol direction militia units repelled four attacks of security forces. Dozens of dead and wounded punishers are reported from locations, as well as the liberation of several localities: last night settlements Faschevka and Chernukhino in Luhansk region were liberated. The total losses of the enemy for the last night in the morning on August 30 amounted to 30 killed and wounded, six mortars, four units of wheeled vehicles. Self-Defense Forces of Donbass continue large-scale offensive against the Ukrainian security services. Fights go on day and night. Now advanced SRG are on the outskirts of Mariupol, compound assault columns are prepared to liberate the city from the Ukrainian troops. 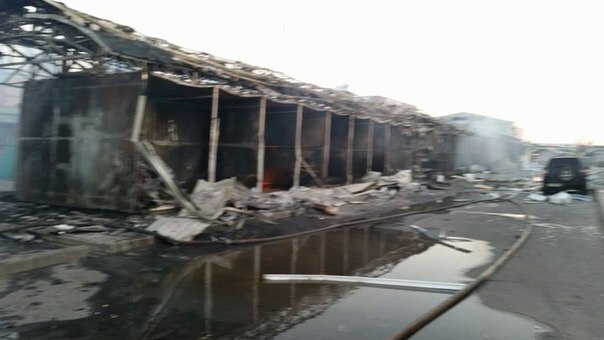 15-16 As a result of the sudden fire raid of militia on the checkpoint of Ukrainian security forces in the southern suburbs of Gorodische an ammunition dump, truck "Ural" and up to ten soldiers destroyed. 15-04 This morning, several media outlets reported that the Ukrainian army units go out of the "pocket" under Starobeshevo and Komsomolskoye, but with weapons and armor. Army forces DPR cuts out the AFU attempts to break out of the "pockets". "This morning, a number of armed units of the Ukrainian army began to move to get out of the encirclement. Someone in armored vehicles, someone - on foot, destroying their equipment. These actions have nothing to do with humanitarian corridor. This is military operation to break out of the encirclement. It does not matter who has chosen to break through in the "armor", who - on foot, due to lack of fuel for equipment. DPR Army clashed with the enemy, who did not to take advantage of the generous offer of the humanitarian corridor "- said the DPR Minister of Defense Vladimir Kononov. Recall that Zakharchenko specified exit conditions of the pockets – giving out of weapons in good condition. Otherwise - the destruction of Ukrainian troops positioned in the "pocket". 15-01, Defenders of Donbass killed an officer of the AFU 28th Separate Guards Mechanized Brigade - Captain Andrey Bezruchak. 14-51, militia reported that DPR army artillery destroyed mortar battery of security forces north from Starognatovka. Up to four mortars and one command-staff vehicle put out of action. Enemy losses in manpower amounted to six people. 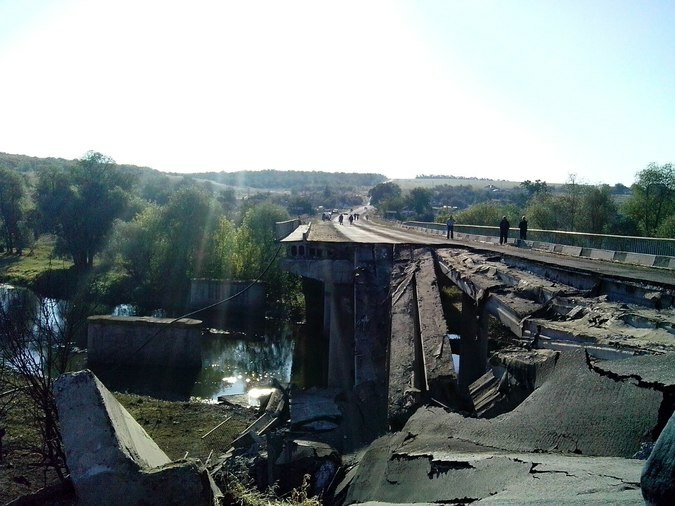 14-36, militia reported that security forces blew up a bridge near the village of Staro-Maryevka in Telmanovskiy district in Donetsk region. 13-08, the Army of the People's Republic of Donetsk is in talks with the command of the three Ukrainian battalions and brigades of the Armed Forces: the 93rd, 25th, 23rd, 30th and 40th to surrender arms. Terms of the ultimatum for Ukrainian soldiers have not been canceled. 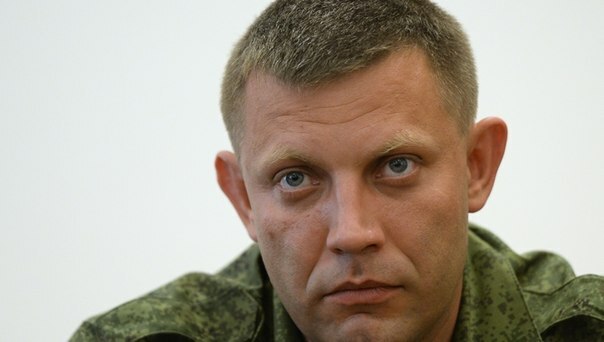 Alexander Zakharchenko said that now the subject is giving out of weapons by the soldiers in good condition, or destruction of security forces in case that weapons, including armored vehicles, would be disabled. On the eve of August 29, the DPR army command has agreed to provide a humanitarian corridor for the Ukrainian soldiers, caught up in the encirclement, if they pass out weapons and military equipment. Government of DPR also reported that captured soldiers of AFU would be let home without any conditions. 13-07, militia report that they went into the active phase on the Elimination of Yelenovka pocket civil journalists report. "Elimination of Yelenovka pocket is conducted with the use of heavy machinery, self-propelled guns are used, tanks, ICV and other equipment, including the" Grads "and tube artillery of various calibers", - the report says. 12-38, great thanks and heartfelt gratitude to drivers of humanitarian convoy from residents of DPR and LPR. 11-53, according to the Minister of Internal Affairs of Ukraine Arsen Avakov, 28 soldiers of Ilovaysk grouping went out of the encirclement to the stronghold in Komsomolskoye. 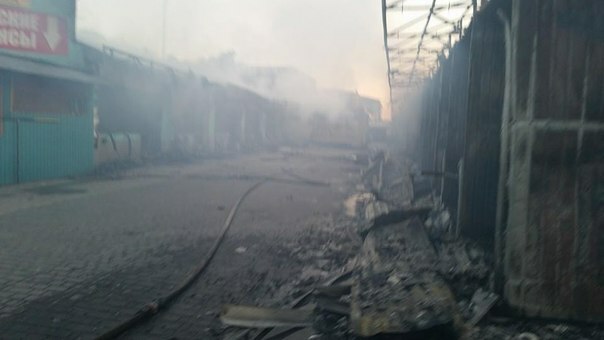 11-32 The effects of yesterday's shelling of the railway station in Donetsk. There are civilian casualties. The number of victims to be confirmed. 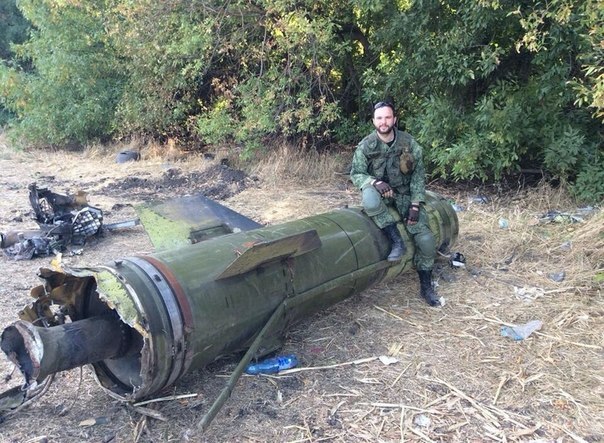 11-11, at the headquarters of the DPR 4 SU-25 shot down yesterday confirmed. On attempt of air strikes on the positions of DPR army units in the area of Novokaterinovka two Ukrainian Su-25 were shot down out of MANPADS. In addition, the air defense battalion of militia shot down two Su-25 out of MANPADS in settlements Vojkovo and Merezhki. 10-45, commander of the 40th battalion of the territorial defense of Krivoy Rog Alexander Motriy, who had willfully left the positions under Ilovaisk with his 50 subordinates, is now on the border of Donetsk and Zaporizhia regions. 3-35, NATO has no intention to intervene in the conflict in Ukraine, we are not talking about any "direct hostilities". This statement was made by Deputy General Secretary of NATO Alexander Vershbow. He emphasized that NATO military intervention could lead to a conflict with Russia.